Now in its sixth season, there is nothing particularly unique about Fox Network’s forensic crime series Bones. These sorts of shows are a dime a dozen on television, so what makes one successful and another a failure comes down more to the likability of the cast members, the strength of the writers and, probably most importantly, the right scheduling. 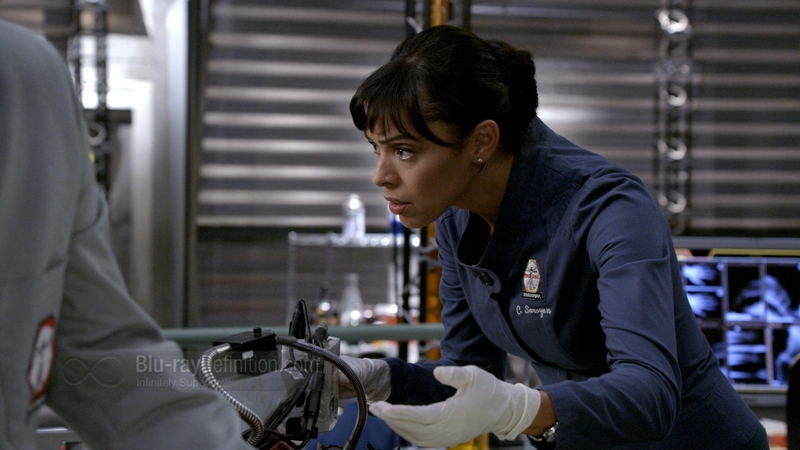 Bones has been the beneficiary of all the things that make for a successful crime drama on television over the course of its five, going on six seasons. The actors in the lead roles, David Boreanaz and Emily Deschanel are both attractive, likable people with great chemistry and the show’s writers have been strong over the course the series. 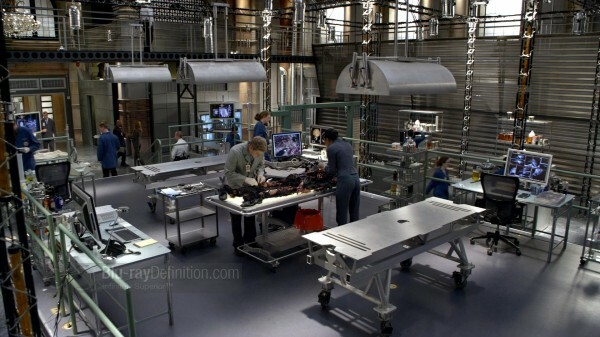 For those unfamiliar with Bones, the show revolves around its two main characters, Dr. Temperance “Bones” Brennen (Deschanel), a brilliant, but socially inept anthropologist who works for the Jeffersonian Museum and Special Agent Seeley Booth (Boreanaz), a charming, but cocky FBI agent. The two have been paired to solve often-brutal murders, using Dr. Brennen’s scientific knowledge with the help of her staff of workers and interns from the Jeffersonian and Booth’s uncanny know-how when it comes to crime solving. But their chemistry and friendship extends beyond the workplace. There is a sexual tension between the two that, as Season 5 explores further in its 100th episode, stems from their very first case together. The fifth season of Bones picks up with Agent Booth recovering from a coma he landed in at the end of Season 4 and awoke from thinking he was married to Dr. Brennen. He must now work through his feelings for Bones while getting is crime-solving groove back on the job. There’s more of the same, apart from that. The obligatory shots of gruesome corpses abound, and a guest appearance from Cyndi Lauper helps launch the proceedings. Bones remains one of the more solid and likable crime dramas on television, despite the glut of these shows on network and even cable TV. 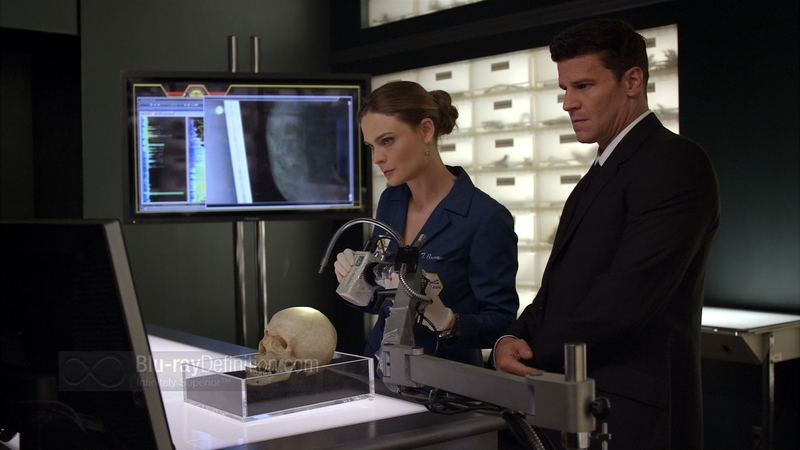 Season 5 marks the first season that Bones was produced on HD cameras rather than 35mm film and the1.78:1 AVC/MPEG-4 1080p encoding of the series on Blu-ray is spot-on. Blacks are deep, detail is strong and artifacts are nonexistent. The English DTS-HD Master Audio 5.1 soundtrack for Bones is a mixed bag. The surround channels are rather dry throughout each episode, with some occasional discrete sound effects panned through them sounding a bit haphazardly applied. There is also some obvious clipping that can be heard in the dialogue, which is anchored to the center channel. Apart from that that and despite the clipping, dialogue is intelligible and the mix gets the job done with smooth high frequencies and a natural sounding midrange. This release is disappointingly barebones (no pun intended), with the supplements consisting only of the one seven-minute featurette, The 100th Episode with Director David Boreanaz (1.78:1; 1080p/24; 0:07.05). 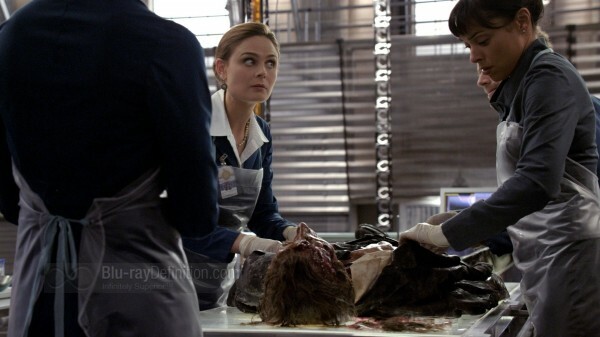 The superb 1080p encoding of Bones: The Complete Fifth Season is a fitting salute to this milestone season for the crime drama, but the lack of supplements is disappointing to say the least. Still, fans of the series will be very pleased with this solid effort from Fox.